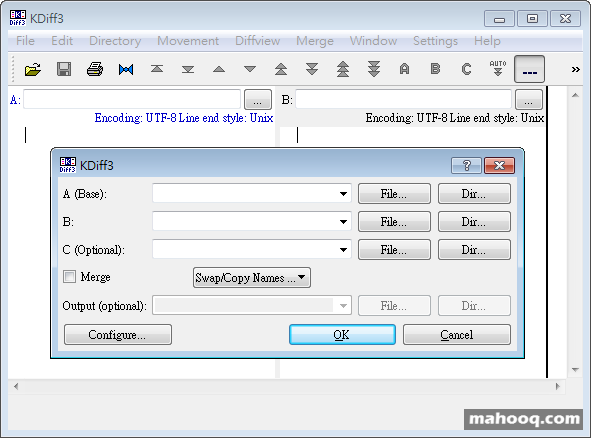 KDiff3 is a graphical text difference analyzer for up to 3 input files, provides character-by-character analysis and a text merge tool with integrated editor. It can also compare and merge directories. Platform-independant.